The interest in molecular organic materials is tremendous, driven by the need to find new materials with desirable properties. This book aims to bring the materials and surface science communities together, integrating physics and chemistry in a non-technical manner, ensuring this fascinating field can be understood by a multi disciplinary audience. Starting with basic physical concepts and synthetic techniques, the book describes how molecules assemble into highly ordered structures as single crystals and thin films, with examples of characterization, morphology and properties. Special emphasis is placed on the importance of surfaces and interfaces. The final chapter gives a personal view on future possibilities in the field. 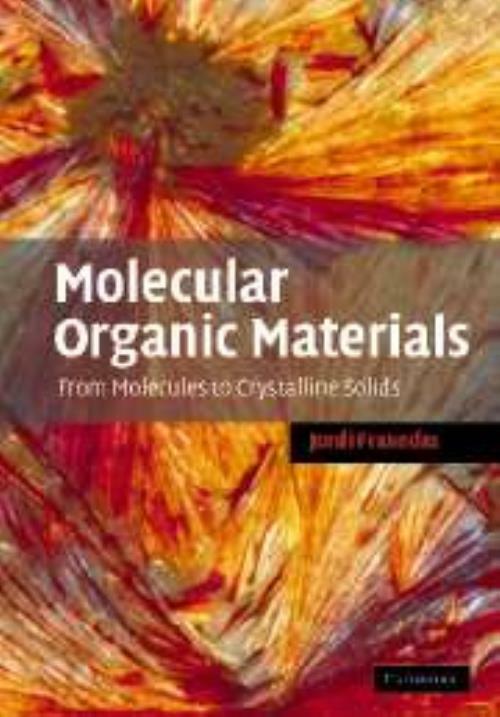 Written for beginners and experienced chemists, physicists and material scientists, this will be a useful introduction to the field of molecular organic materials. 6. A miscellany of physical properties; Appendix A; Appendix B; Afterword; Bibliography; Index. Jordi Fraxedas Institute of Earth Sciences, CSIC, Barcelona, Spain. Jordi Fraxedas is a tenured scientist at the Institut de Ciencia de Materials de Barcelona (ICMAB) of the Consejo Superior de Investigaciones Cientificas (CSIC).